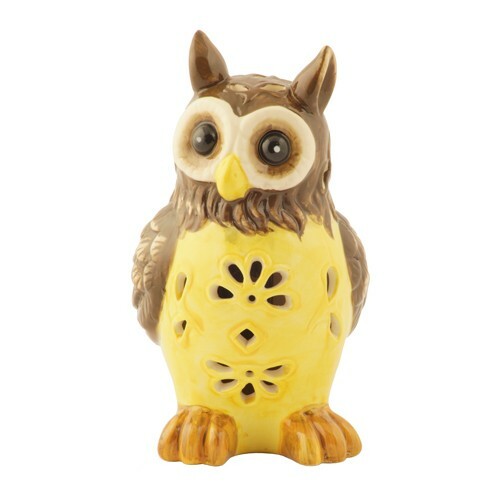 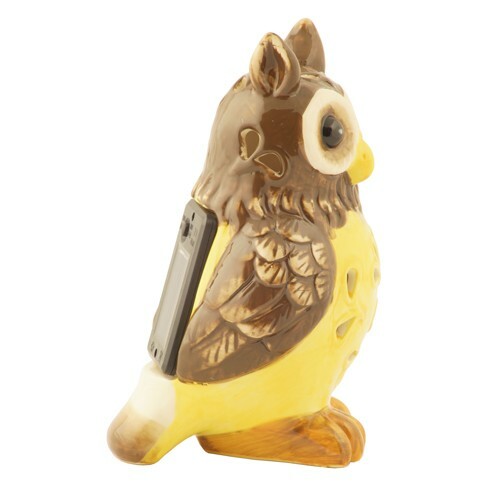 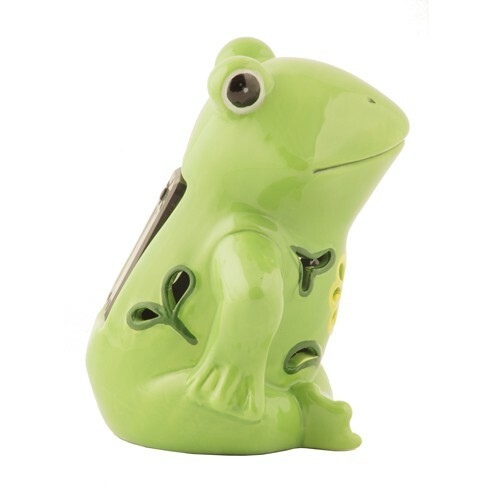 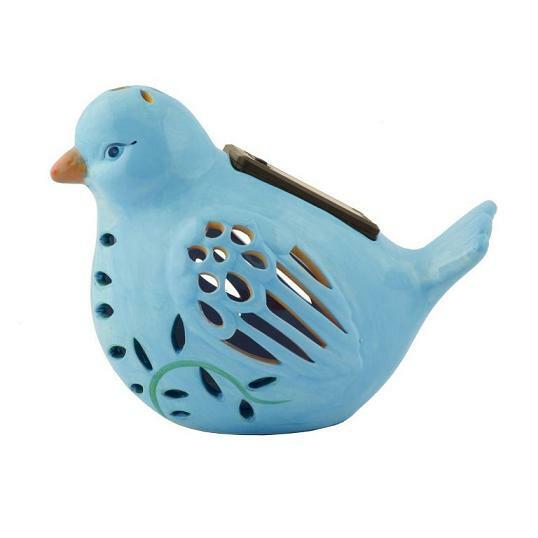 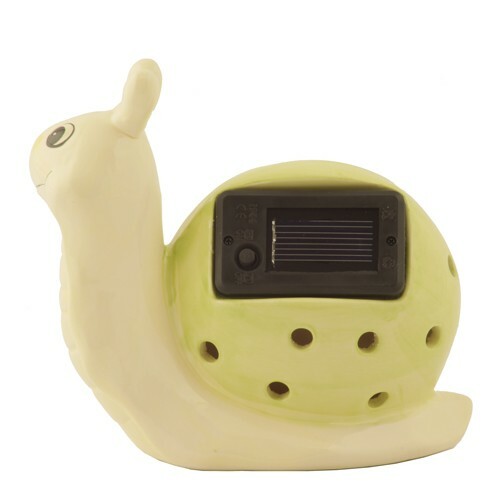 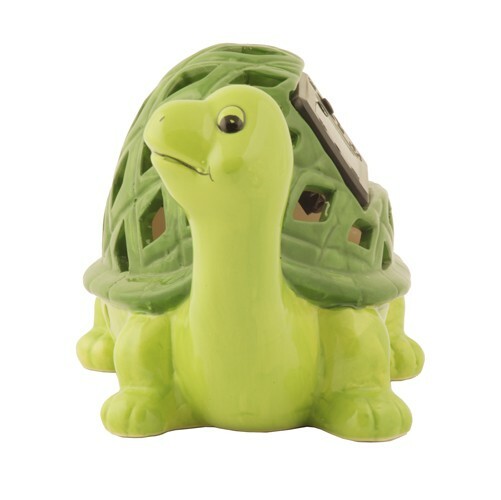 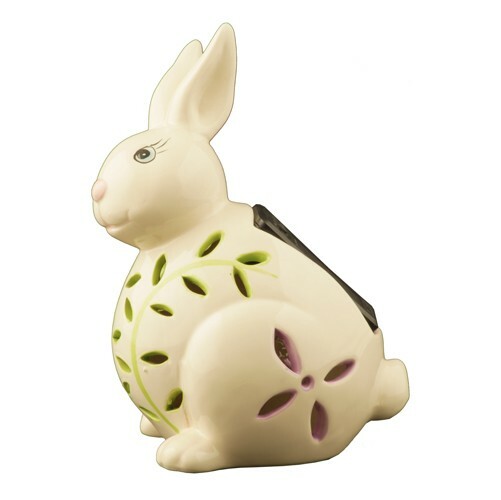 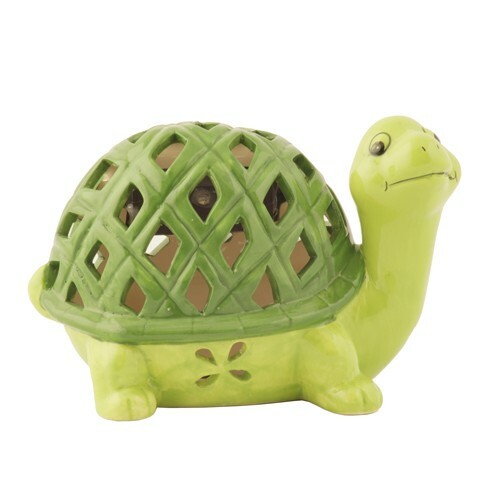 Add these adorable solar color changing ceramic animals to you flowerbeds, garden or any favorite outdoor setting. 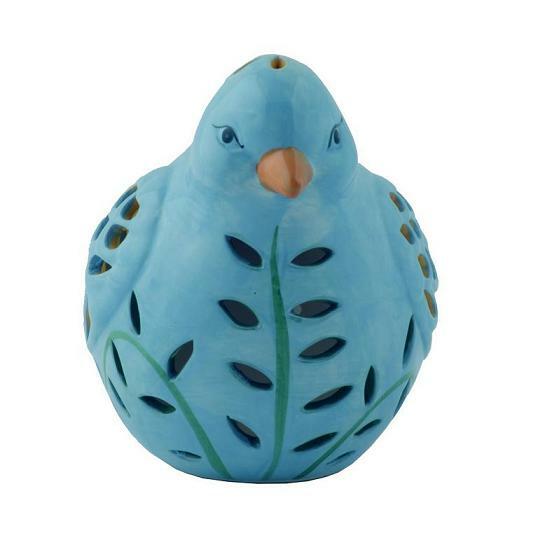 Each hand painted ceramic figurine has a cutout pattern that are illuminated by LED’s at night, the light is emitted from each cycle through a brilliant color-changing spectrum. 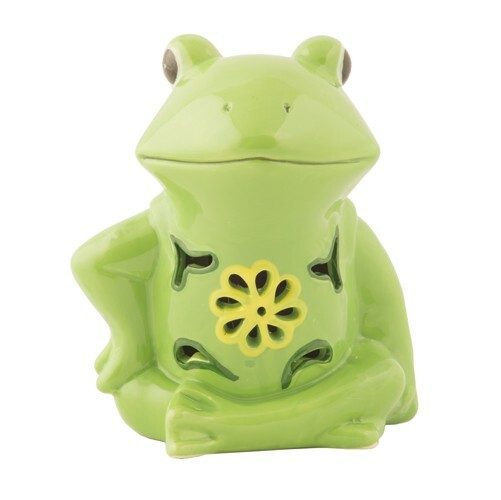 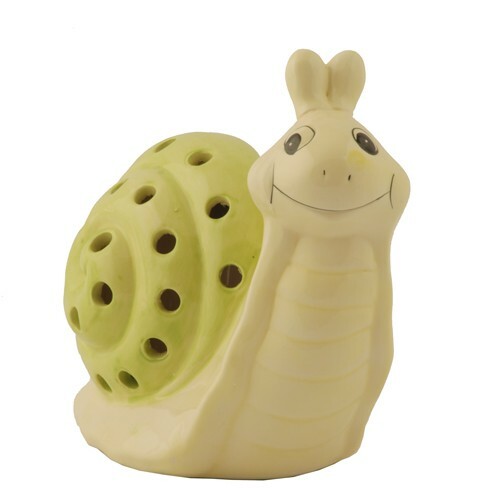 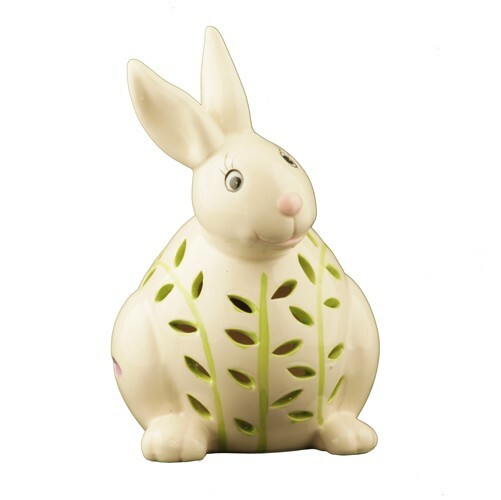 Choose from 6 different styles (frog, rabbit, snail or owl), mix them up for a great addition to your garden decor. 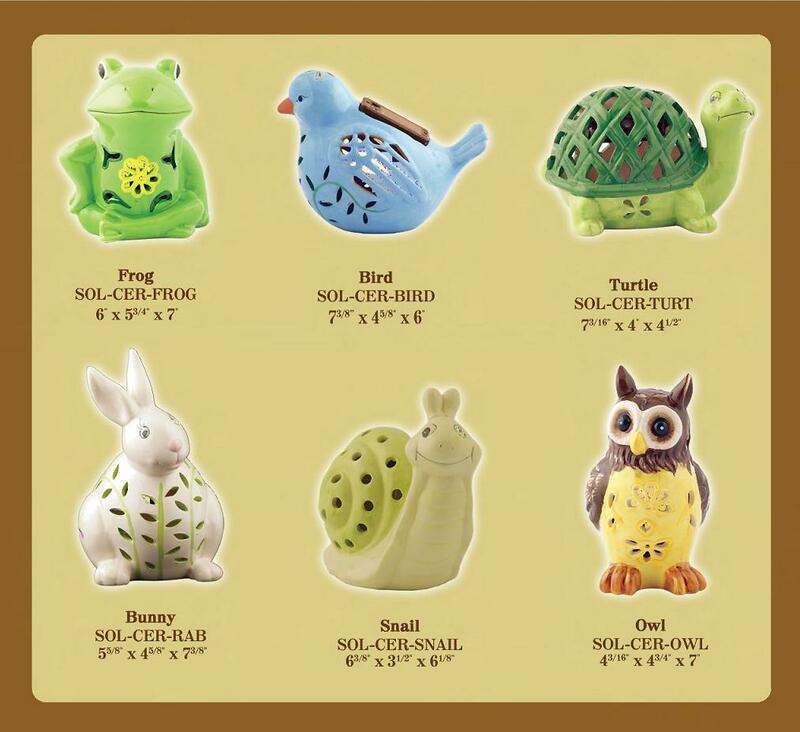 Solar Frog: 6 " x 5 3/4" x 7"
Solar Turtle: 7 3/16" x 3 1/2" x 4 1/2"
Solar Snail: 6 3/8" x 3 1/2" x 6 1/8"
Solar Rabbit: 5 5/8" x 4 5/8" x 7 3/8"
Solar Bird: 7 3/8" x 4 5/8" x 6 "
Solar Owl: 7 3/8” x 4 5/8" x 6"